This book found its way home with us last week when we made our weekly trip to the library. It stayed in our library bin for a few days before my daughter finally chose it for her daddy to read to her for bedtime. As I was quickly speeding through the house trying to pick up the left over clutter from our busy day I overheard a sweet little voice keep chiming in as he read the story..."you mean you did it just like me Daddy?" I paused for a moment outside my daughters bedroom door just to listen as my husband read. With each page he read Kaitlyn's eyes grew wider and wider. She listened intently as he read each line. 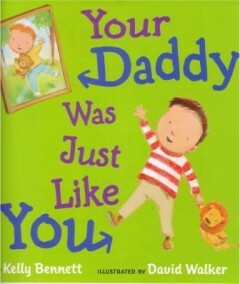 Your Daddy was just like you is read from the perspective of a grandmother, she recollects how her little boy use to get scared at the doctors office, and not want to go to school, how he didn't always win and how sometimes he wanted to give up...and each page finishes with the phrase "just like you". 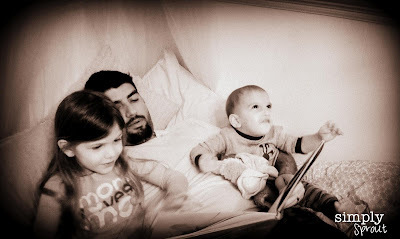 As he read each page and I watched as my daughter marveled in the fact that maybe her Daddy wasn't always the bravest and the smartest...that maybe, just maybe Daddy started out just like her. A little kid who was sometimes afraid, who didn't always listen, who sometimes cried, who wanted to do things all on her own...maybe just like her! 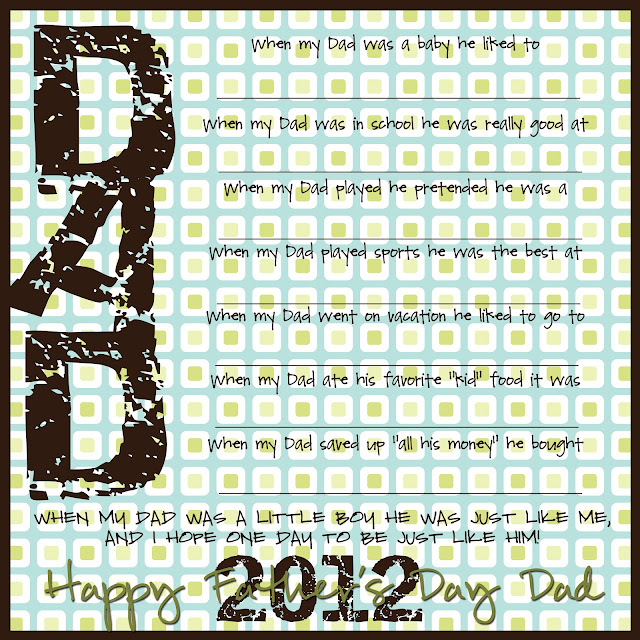 As I watch my daughter each day so full of life and so full of her Daddy's strong will and spirit I am reminded how fast they grow, it wasn't long ago that her Daddy was in her shoes trying to figure out the boundaries and testing the waters. I think it's important to remind our children that they don't need to have everything figured out, because Mommy & Daddy sure as heck don't, even though we don't always like to admit it.The toddler years are filled with such frustration to try to understand and navigate their world our little ones need to know that they don't have to always get it just right, they will get it figured out in time. So this Father's Day do yourself a favor read Your Daddy was just like you to your little one and encourage Dads to talk with their little ones about when they were little. A stroll down memory lane will help your kids relate a little better the next time they feel frustrated and are trying to do things just like you.